Your bike makes you feel like a hero. Be a hero for your bike! The better you take care of your trusted steed, the better it will take care of you. 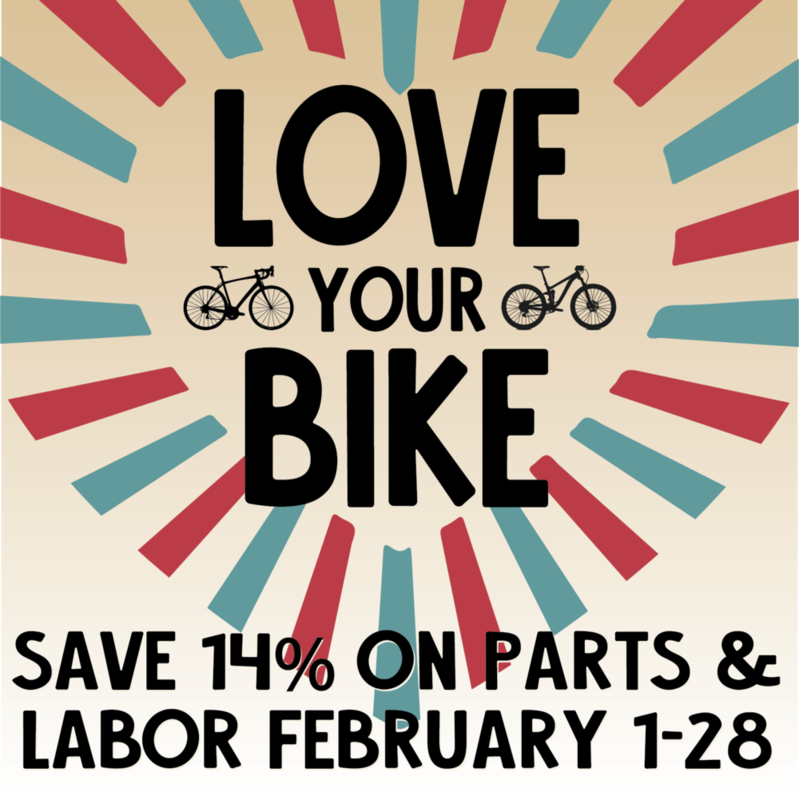 In the spirit of Valentine’s Day, we want to help you give your bike the love it deserves. Save 14% on any parts or service you need … and not just on Valentine’s Day the 14th, but throughout the month of February. We’ll be publishing a road/city bike version soon! Your bike makes you feel like a hero. Be a hero for your bike! The better you take care of your trusted steed, the better it will take care of you. Photo of Casey Brown by Ian Collins. Epicenter mechanics are experienced, knowledgeable and friendly! Stop by or call with any questions and we’re happy to help.